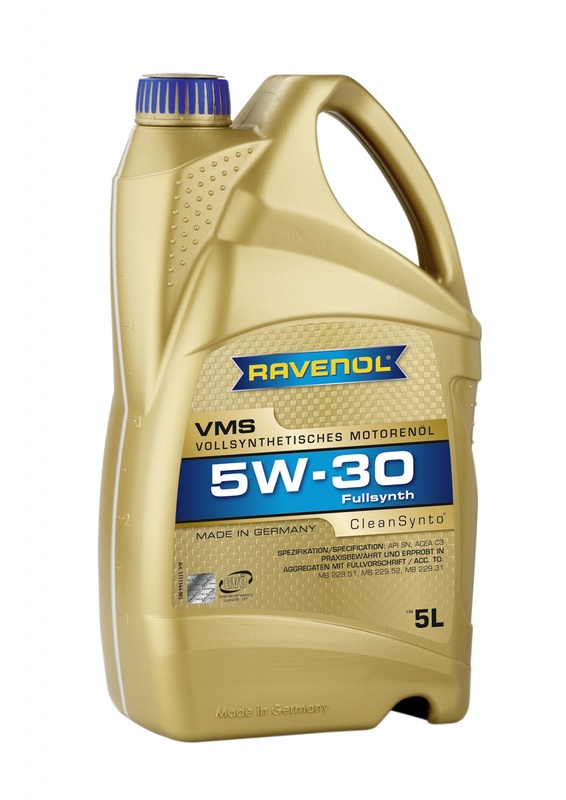 RAVENOL VMS SAE 5W-30 is a fully synthetic low friction engine oil with CleanSynto® technology developed for use in Daimler passenger car petrol and diesel engines with and without turbo-charging and direct injection. Minimises friction, wear and fuel consumption whilst providing excellent cold start characteristics. Recommended for use in vehicles with diesel particulate filters. It is especially formulated to meet the Daimler Low SPAsh multigrade service engine oil specification Mercedes-Benz MB 229.52 and is suitable for BlueTEC OM642. Allows for extended oil change intervals according to manufacturer's recommendations. Not bad at all for a fully synthetic Mercedes approved oil. Arrived the next day as well. Great service!